What is the MSC Competitive Clippers Program? MSC’s Competitive Program is comprised of 780 players on over 55 Competitive teams, which represents about 40% of the MSC membership. MSC’s Clippers program aims to promote the experience of competition in an enjoyable environment for its players and their families. MSC’s Competitive Program strives to develop a player’s passion for soccer, while they learn how to play the game. Fundamental technical skills (ball mastery) are stressed at younger age groups, with winning being a secondary consideration. As players mature and progress, decision making and tactics are introduced with winning becoming a greater consideration. Throughout the entire process MSC’s Competitive Program strives to emphasize the importance of being part of a team and a well-rounded individual. Competitive teams are coached by either professional coaches from the 24-7 UK Soccer Academy or a parent volunteer coach who works alongside a 24-7 trainer throughout the course of a season. For bios of professional coaches, please see our website. The 24-7 Academy combines elite technical, tactical, physical and psychological training by a team of Nationally Licensed coaches. All of MSC’s Competitive Coaches work in line with MSC’s curriculum which has a clear set of learning objectives, based upon the age of the players. MSC’s coaches are supported by Technical Directors for each age bracket and MSC’s Director of Coaching, Rob Busa. MSC’s Competitive vision is to enable its players to play both possession retention and creative attacking soccer. Competitive teams can play at five levels: Premier, Gold, Silver, Bronze and Copper. Through Try-out process MSC aims to form at least one team at one of these levels in each age group. Most age groups have teams at various levels of play. Premier, Gold and Silver teams play in the highest level of youth soccer available and require a larger time and financial commitment. Bronze and Copper level teams require less time and financial commitment than Premier, Gold and Silver teams. For more details on expectations, please see Player Expectations on our website. MSC Competitive Teams are formed using a player tryout process. Team formation is dependent upon the number and quality of players who attend tryouts and commit to playing for the MSC team for which they are selected. Tryouts are run by professional coaches from 24-7 UK Soccer Academy on behalf of MSC. Players interested in participating in the MSC Competitive Program must attend at least one of the tryout dates for their age group, but are highly recommended to attend them all. Player evaluations and selections are made by the 24-7 staff in conjunction with MSC Director of Coaching. All players will be notified regardless if they make a team, within a week of the last tryout date for each age group. The cost will vary depending upon the team's age group and level. You can expect your child’s cost to be anywhere from $950 a Copper Level team to $2050 for the year for a NPL, Premier, Gold, Silver or bronze team. This includes Club player registration fees, a non-refundable Competitive Program fee, professional coach and or training fees. Teams may choose to do fundraising or seek sponsorships to help offset costs to participate in the program. MSC has financial aid opportunities for those players and families demonstrating a financial need and commitment to soccer and MSC. WHERE DO TEAMS TRAIN AND PLAY THEIR GAMES? Home Games are played at the above locations or one of our partner fields within the Jack London League. Away games (roughly 50% of games) are played against surrounding teams. Rarely will an away game be over 25 miles. WHAT IS MSC’s Clipper Development Program? for the program will be selected at try outs and will play in the NorCal playing league at the Copper Level. and coached on weekends by a parent volunteer. The aim of the program is to offer players of all abilities the opportunity to work with MSC’s most experienced and qualified coaches, while reducing the cost to families and continuing parent volunteer support within the MSC program. Players who excel in the Clipper Development Program will be offered opportunities to train and play on a Competitive Team. For information on the Clipper Development program please attend your respective age groups Information Night. Information will include the programs training philosophy and an overview of the season. WHAT IS MY CHILD’S SOCCER ALTERNATIVE TO COMPETITIVE SOCCER? Competitive soccer requires a high level of commitment from the players and families who participate. The decision to play at this level is a choice that needs careful consideration. Even if a player is skilled enough and is selected to a competitive team, the choice to play competitive soccer may not be a good fit for the player and/or his or her family. 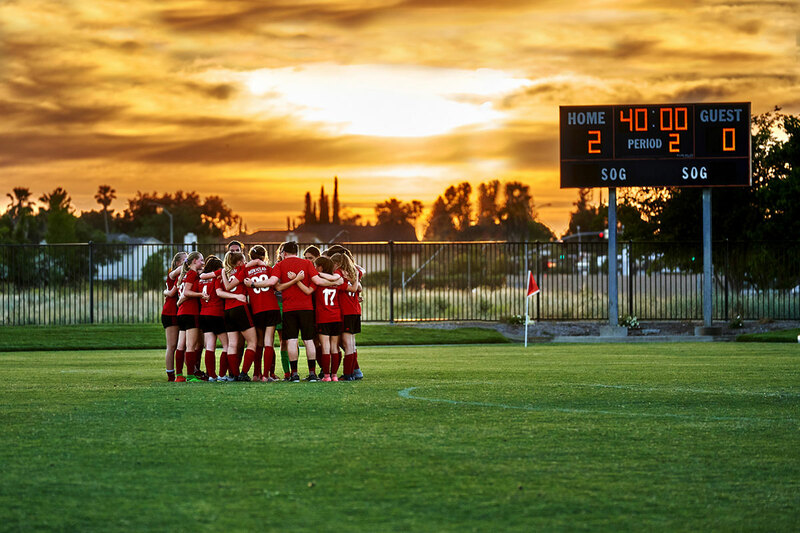 For those players and families who seek a lower commitment of time, travel, financial and volunteer requirements of Competitive Soccer, MSC offers the option to play at the Recreational level. For Recreational Soccer, players are assigned to teams by the Club or via a player draft by coaches in the older age groups. Recreational teams usually practice once per week beginning in August and finish in November. Players are guaranteed 50% playing time in games and the focus is on a fun soccer experience with minimal emphasis on game results. Coaches are usually the parent of a child on the team. We are enthusiastic about our MSC’s Competitive and Recreational programs. Picking a soccer program is a family decision. No matter what program you choose, we wish your family the very best in the Beautiful Game. We aim to offer its competitive and recreational players all the encouragement, support, training and experience we can.